"This house was just a dream!!" "Ein Traumhaus in der unberührten Landschaft der Toscana." "The house is lovely and the property is beautiful." 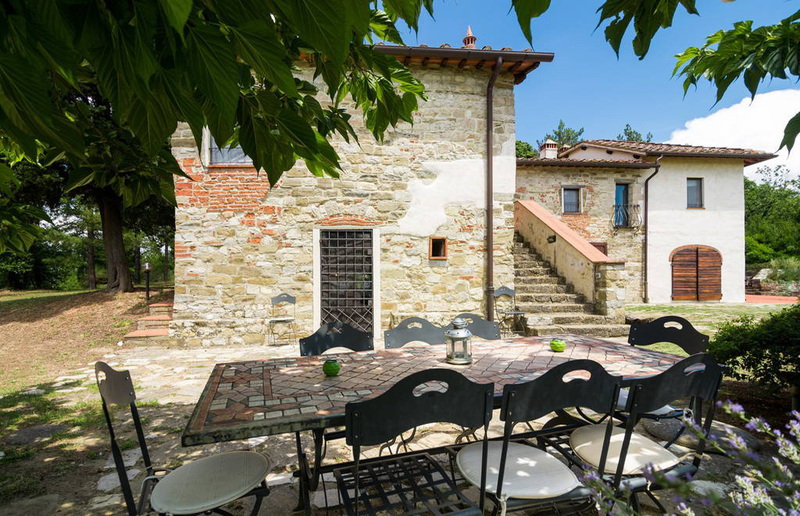 Cafaggio di Sopra: your holidays in a tuscan Villa near Florence. 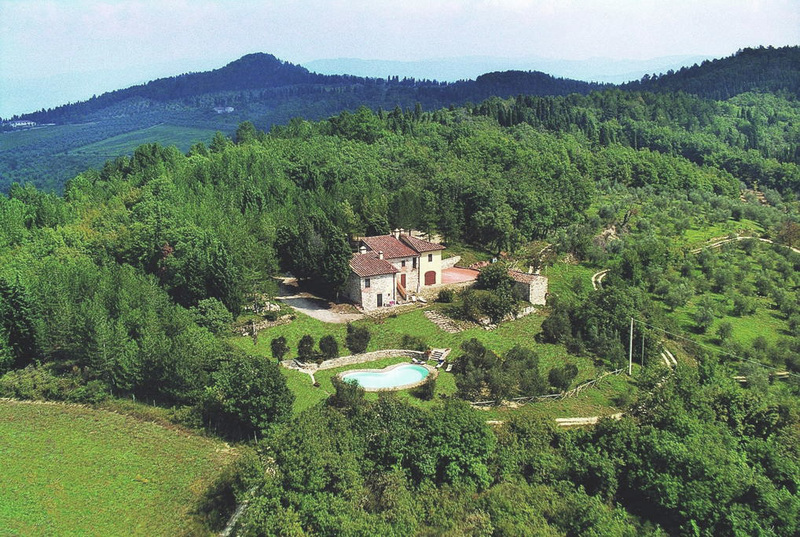 Our villa is located in a green paradise near Florence, a sanctuary to relax your mind, enjoy nature and embrace slow-living culture. Detached house and annex building with 6 bedrooms, it fits up to 11 people that will enjoy the pool, the barbecue area, outdoor life and amazing sights. The main building was a watch tower in the Middle Ages, on the top of the hill at 400 m above sea level, 8 km from Sieci and 19 km from Firenze. The central part of the house, in stone, derives from the transformation of a medieval watchtower for either Quona or Montefiesole castles, both reduced to romantic ruins. 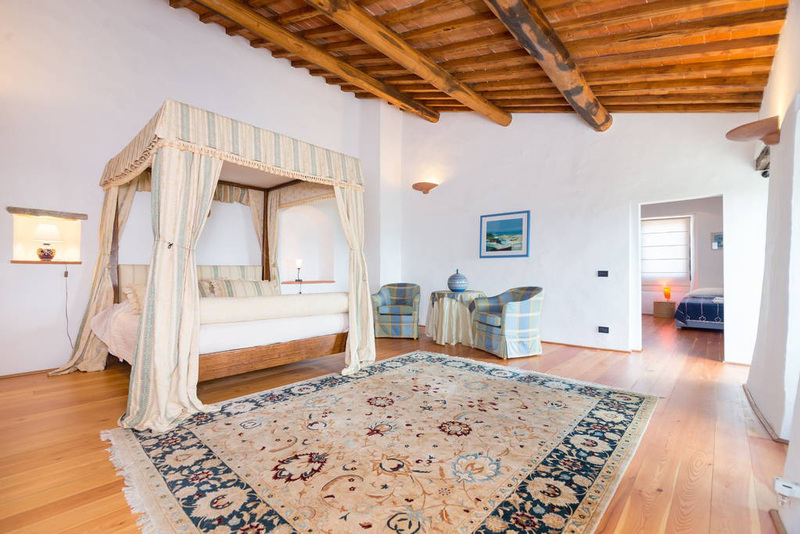 What was the barn belonging to the old farmhouse of Cafaggio di Sopra, has been transformed into an independent suite which can accommodate 2 people but it is more ideally suited to a couple. The sofa - bed in the living room offers another 2 sleeping places. 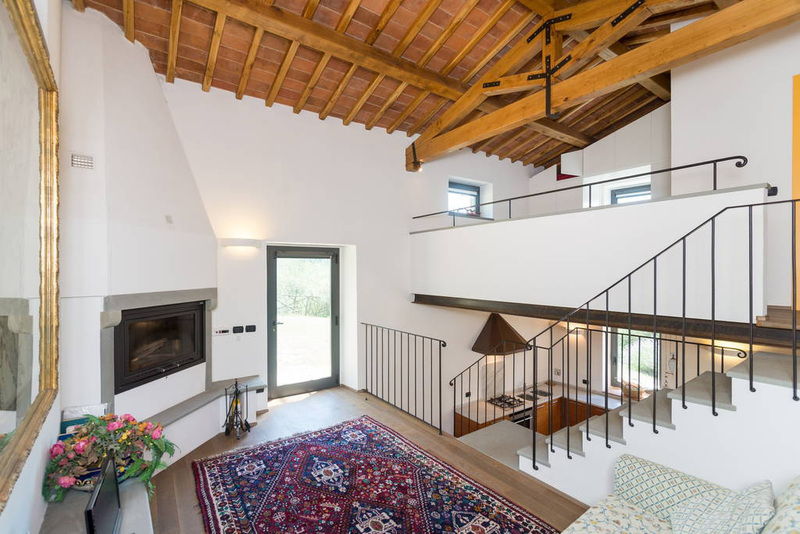 House and barn are rented together for up to 11 guests. 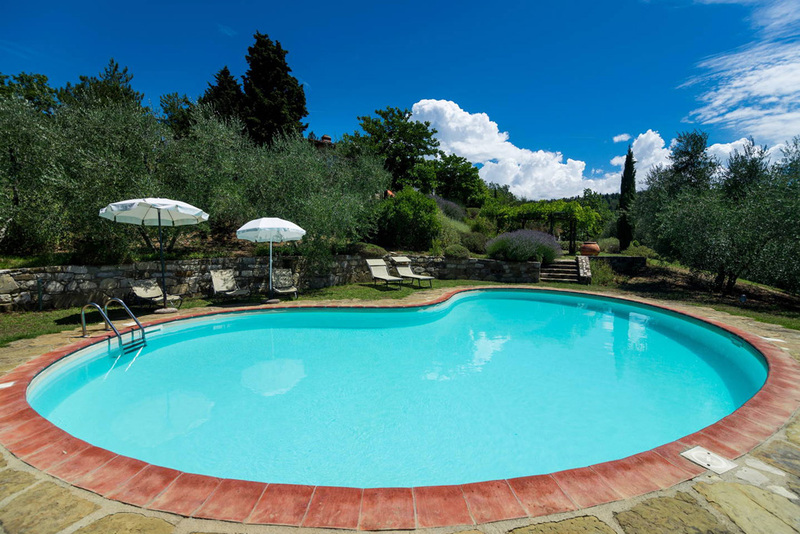 Guest can enjoy a ful relax holiday swimming in the private pool, cooking and eating at the special barbecue area, taking a hike or a bike tour in the surrounding hills, booking a Horse trip at the nearby farm! The pool in our garden. Cafaggio uses solar energy to produce electricity and hot water. 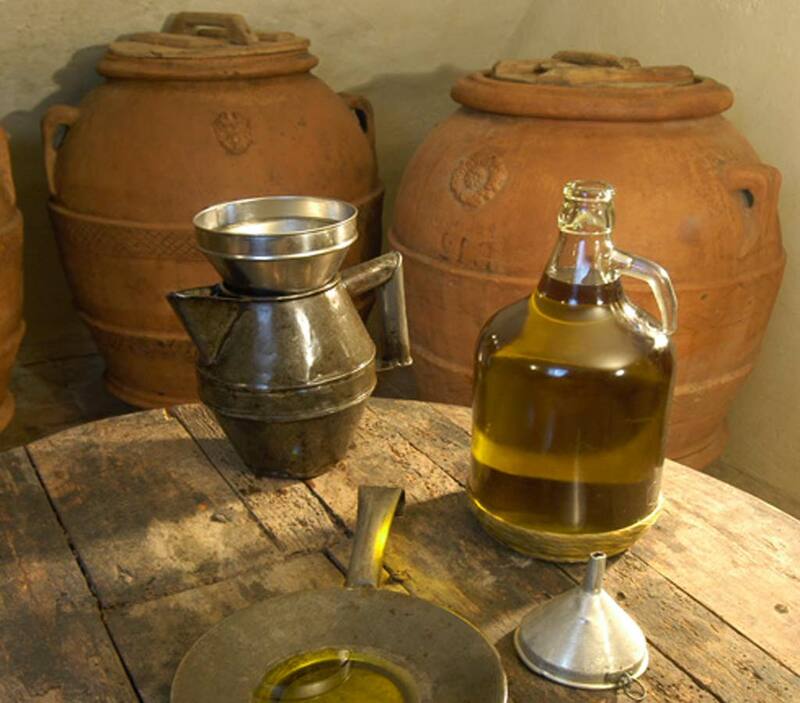 Our customers can purchase organic products from our farm: Extra-virgin organic Olive Oil, wine, vegetables and fruit.